By mbz, March 17 in Help Me !! 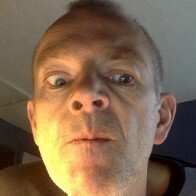 SORRY - I THOUGHT I WAS LOGGED IN AND POSTED THIS AS A GUEST. ADMIN PLEASE DELETE THE GUEST POST AND USE THIS ONE. Need some help on what to do next, here's the story so far. 1976 280z California edition (manf. date Sept.1975). Bought the car in late Jan. 2019, car passed emissions test and it started and drove fine until 2 weeks ago when problem first occurred. Engine runs very rough for about 1-3 minutes at high RPM when gas pedal is pressed, and exhaust kicks out white-ish / light gray fumes. When gas pedal is released, engine dies, car will not idle. Try to start again and engine cranks but will not start. Let it sit for 1-2 hours and it will start again, same as above. Makes me think it is flooded with gas and needs to sit before it will start again, but not sure. Reviewed service records and saw that several basic maintenance has not been performed for a long time (anywhere from 2 years - fuel filter, to 8 years - spark plugs & air filter). Replaced fuel hose from tank to fuel pump (found it had a couple of gashes, but not dripping gas.... figured it should be replaced). Replaced air regulator hose (appeared to be original equipment that was dried and appeared to have fresh crack in it). Did visual inspection of air and fuel hoses. Inspected carbon canister, replaced under filter. Anything I left out in the problem description? Any advice on what to test next? What does the white smoke smell like? Have you inspected the spark plugs? How high is "high" - "very rough for about 1-3 minutes at high RPM "? Give the ECU a sharp tap or two and see if things change. The smoke smells like car exhaust. Not gassy, not oily. Just like a large amount of exhaust. Yes I pulled the old ones and replaced. Same problem persists with new spark plugs, it just fired up faster. Hmmm, tap on the ECU? Really? Can I ask why before I do it? Any idea what these are for and if they are supposed to be connected to something (or each other)? Squeeze the fuel lines in the engine bay to see if they're hard. With a good fuel pressure regulator and fuel pump they should be pretty hard to pinch or squeeze while running. There's been many gremlins fixed by wrapping the ECU a few times, not too hard though. Yes, fuel line seem stiff, but I'm planning on testing fuel pressure next weekend to be sure. That was next on my list of things to check.... the fuel pump. But it stands to reason that fuel pump is working fine if engine fires up and runs for a few minutes while foot is on gas pedal.... no? 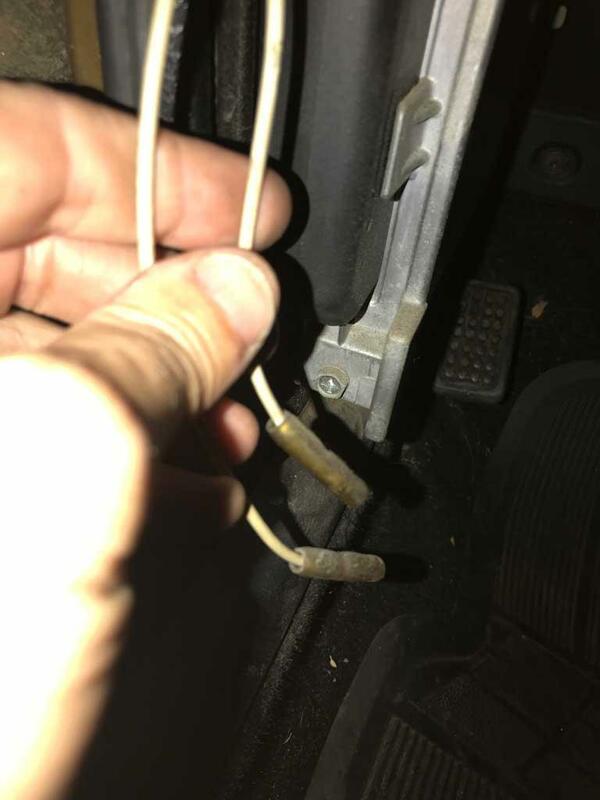 Also, see photo above regarding 2 white wires found unattached behind the ECU kick panel. mbz, the more detail you can give the better. If you just describe what seems important to you then our brains can only go as far as your brain. Tell us the stuff that seems worthless. "Exhaust" isn't good enough. Does it smell sweet, like coolant? could be a head gasket. Has it overheated recently? I said "inspected" the plugs, not replaced. How did they look? Were they wet with gas, or clean like they've been washed with coolant? Were they all the same or were one or more different? Details. The white wires are for testing. They just sit there, doing nothing. So, you are holding RPM at 2500 for two solid minutes (that would be a long time) and it just pours white smoke? You said "kicks out". Don't know what that means. No offense intended. Just need a better idea of what's happening. Does your car have a catalytic converter? You're in CA and they were the first to get them. Zed & site, diagnosis help much appreciated! Exhaust does not smell like coolant, it smells like gas. Head gasket is clean, no leaks. Last replaced in February of 2010. About 11k miles since head gasket replaced. Car has not overheated since I have owned it. I have driven it about 125 miles. First drive was an extended drive (75 miles) in Friday rush hour freeway traffic. No overheating. Yes car has catalytic converter, was last replaced in March of 2014. About 7K miles on new Cat. Battery Test: 669 CCA, it is rated for 675 CCA, temeprature was 60° F, voltage was 12.36V. Starter test: Cranking normal. Voltage 11.97V, Time 10mS. Tapped on the ECU as suggested then started the car.... it idled this time for several minutes. Idle is rough, however this is the longest it has idled (about 3-4 minutes). It ran longer than the video shows (see video 1). Opened throttle, then let go back to idle and car dies (see video 2). Try to start engine again and it won't start. (see video 3). See old spark plugs in attached photos. They all look the same. Black, not wet, a bit worn out. Those are fuel fouled for sure. You need to test fuel pressure . Then start checking all connections. Read the EFI BIBLE , and get your multimeter out. Your pushing your luck with a 10 year old battery - regardless out how it tests. I don’t see anything about ignition checks ? Dizzy cap? Plug wires? Rotor? Timing ? EFI section of FSM is key, you must read read and read again until you understand everything about how it works. Plugs clearly so rich, OR are the an incorrect heat range, guessing rich. incorrect fuel pressure (too high), defective FPR could even be leaking raw gas into the manifold. Leaking injectors/stuck injector/defective cold start system (injector or thermotime switch). AFM, if been prior monkeyed with, a common thing as its just too tempting to go mess with it. ECU (diagnostics are if everything else is ok, then its got to be the ECU, but you really really need to eliminate everything else). 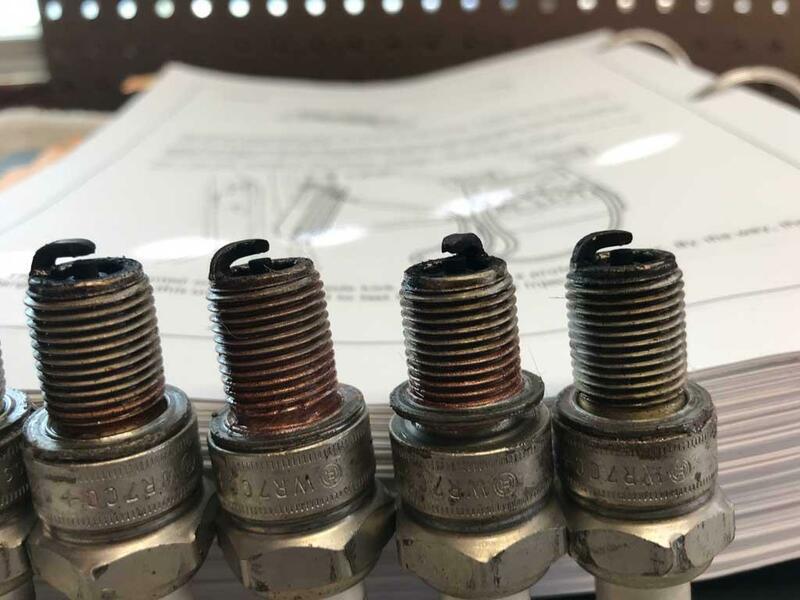 as a start, fuel pressure, then listen to injectors to make sure they are all clicking, then pull the cold start and make sure its working properly. I will not go into the specifics that is what the FSM is for on how to test all the systems. It does not make since that the idle adj is not working. it should slow down CW speed up CCW, its an air bleed that bypasses the throttle plate. Madkaw, thanks for the advice. At this point, my weekend time to trouble shoot car is done, but I am trying to narrow down what I should look at next weekend. I agree on the battery, but I want to get stable start and idle sorted first. Yes I have EFI manual (thank you calssiczcars) and have been reading it. Doing the routine maintenance stuff seemed like the first logical step and it needed to be done anyway (fuel filter, air filter, spark plugs, and found a fuel hose and air hose the needed to be replaced while I was poking around). I'm leaning towards checking fuel pressure / fuel pump as the next step in trouble shooting and I guess I'm looking for guidance/agreement from the group before committing to that as next weekend's project. If that checks out, then air intake/throttle system seems like the next logical step. Am I on the right track or missing the point completely? The one thought that is nagging me is that the rough idle makes me think there's a misfire, but.....? I'm right there with you on that. Testing fuel pressure and listening to injectors next weekend. 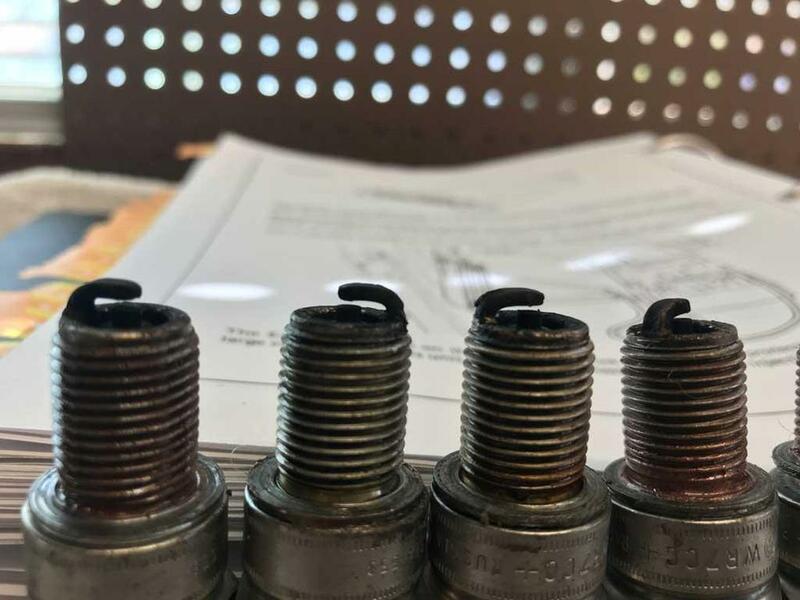 Service records indicate fuel hoses and fuel injector seal kit were last work performed in July of 2018, about 150-200 miles ago. Number one issue on rich running is the water temp sensor, not the sending unit for the gauge but the one that tells the ECU how cold the engine is. The FSM tells how to check and what reading to expect for given temps, Test at the ECU 36 pin connector with a good volt/ohm meter. Next most common is leaking FPR. odd readings that are not effected by vacuum would be a clue, but a definitive test is to detach the vacuum lead and look for leaks. also check the condition of the boot from the AFM to the TB for cracks, unmetered air is covered in the FSM. On diagnostic that is often used is try removing the oil cap while idling. If the system is working properly the engine should sputter and die. if it runs better then you have a too much fuel situation. if it has no effect at all then its just running a tad rich at idle. You need to lean towards ignition first. Sounds like a weak spark that you have to rev the engine to keep it running. Have you checked spark color ? Have you inspected the dizzy cap for cracks. Is there moisture in the cap. Are the wires tight around the dizzy. Is the coil getting proper voltage? Is it putting out a blue spark? The leaking FPR, through the vacuum hose, and the coolant sensor are high probability and easy to check. The leaking FPR is one that would come on quickly too. The diaphragm cracks and it's broken. If there's gasoline in the vacuum hose it's toast. Those plugs look terrible, very rich. And you should use less never-seize. There's probably enough in the holes now to last the lifetime of the engine. It's dangerous too because you can over-torque your plugs. Not good in an aluminum head. Zed, those in the photos are the old spark plugs I removed. They were installed by PO's mechanic. I did not use never-seize when installing new plugs today. Also in the service notes from PO's mechanic, he adjusted the mixture a bit leaner to pass smog. In addition to re-sealing injectors, notes state all mount holders and fuel hoses replaced. Upon inspection that appears to be the case. PO's mechanic resealed thermostat upper housing. Check distributor cap for cracks and moisture, as well as checking spark color for blue spark. Remove oil filler cap when engine is idling to determine if engine is running rich or lean. Check injectors, make sure all are working. Check boot from AFM to Throttle Body for cracks. If so, I'll start reading up on the procedures and getting tools / parts in order for next round of testing. Sounds like a good list. At least the car had some maintenance, maybe not recent, but some engines get no love. The AFM boots crack where you can’t see it, but maybe feel it, or remove and inspect. Still don't like the idle adj screw not having any effect. There is something wrong there, You are on the large screw with a spring that sits atop the throttle body right next to the dash pot right? If its not working I would suspect a mechanical problem with the throttle not allowing the valve to completely close, thereby rendering the idle air bleed useless, OR something going on with the BCDD again bleeding excess amounts of air. that would account for a to HIGH an idle which does not seem to be the issue unless there are other problems resulting in the low idle. Very confusing. Those old spark plugs look quite cold, colder than standard which would contribute to fouling at idle. What plugs are the new ones? DaveWM, yes the large phillips head screw running through the spring that sits on top of the throttle. jonbill, the old plugs were Bosch, the new plugs are NGK. I’ll replace them again soon enough and didn’t want to get spendy with the spark plugs until I have the issue sorted out. 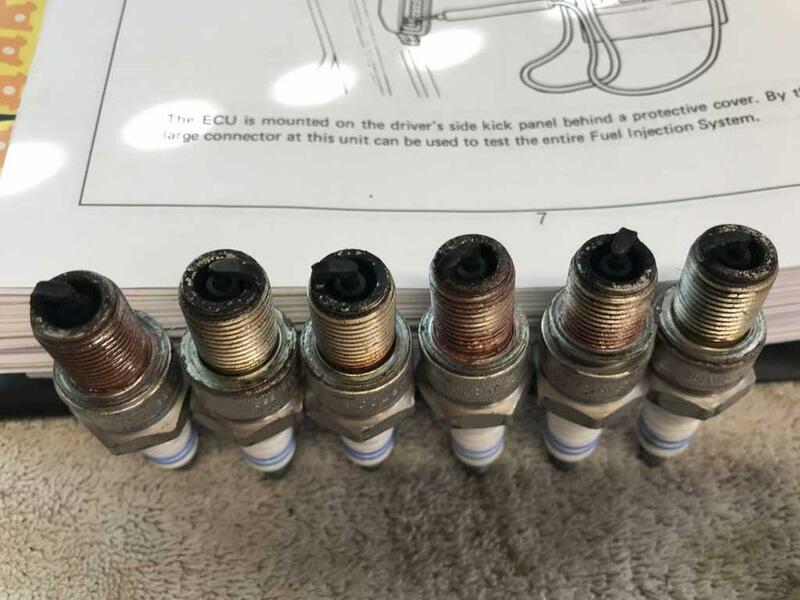 Why did you show the old plugs from before the tune-up by the Po's mechanic to pass smog? They don't tell you what's happening now. If the PO's mechanic got the car to pass CA smog then it must have been running pretty well. Most of the suggestions here are for old sat-for-ten-years engines that barely run. Your problem looks like something broke recently. So don't go crazy, and make sure that you record every change you make so that you can undo it. You're on the verge of creating a terrible EFI nightmare.